Is last night’s all-nighter showing up under your eyes? Sometimes a splash of cold water is all you need to get rid of bags under your eyes. Other times, they don’t seem to go away no matter what you do. Eye bags not only reveal to the world how tired you really are but also mar your appearance. They give you that perpetually exhausted look that often leaves a bad impression on others. However, eye bags are certainly not just a cosmetic issue. Swollen and puffy eyes can often be irritating and distracting, which can also affect your productivity. Lack of sufficient sleep can cause bags under your eyes to appear or become more prominent. This is usually temporary and caused by a build-up of lymphatic fluid under the skin below your eyes. Allergies and chronic sinus problems can also cause bags to form under the eyes. Some genetic factors can make the tendency of getting eye bags a family trait. There is not much you can do about your eye bags other than achieve temporary solutions in this case. Aging makes the muscles that support the eyelids weaker, allowing the fluid to accumulate in the space under your eyes. With increasing age, the skin under your eyes also becomes thinner and more fragile, making you more prone to loose skin, eye bags and dark circles. Excess consumption of sodium before bed can cause under-eye bags. Salt can cause you to retain excess body fluid as you sleep, causing eye puffiness and under-eye bags. Everyday habits, such as rubbing your eyes, smoking and excessive drinking, can also contribute to under-eye bags. Excessive sun exposure can cause the skin around your eyes to lose its elasticity, which in turn allows more fluid to accumulate in the area. This contributes to puffiness under your eye. Hormonal changes may also lead to fluid retention under eyes, which in turn will add puffiness to your eyes. Sleeping flat or on your side can also cause fluid to accumulate in your lower eyelids. Too much strain on the eyes from looking at a screen for hours on end can also cause eye bags or eye puffiness. Keeping your eyes well-rested and pampered with soothing treatments of teabags and cucumbers is probably the best way to prevent the under eye puffiness and under-eye bags. Reduce salt intake. Excess sodium in body is often followed by fluid retention in different body parts. Avoid excess intake of alcohol and caffeine, especially before going to bed. Drink plenty of water to keep yourself sufficiently hydrated. The area under your eyes are susceptible to dehydration. Managing your allergies and colds timely can also prevent bags under your eyes as under-eye puffiness is a common allergy symptom. Keep your sinuses clear; use a neti pot if required. Elevate your head on a pillow while sleeping, especially if you sleep on your stomach or side, to prevent fluid retention which causes under-eye puffiness. Removing eye makeup before hitting the sack each night can also prevent bags under the eyes. Instead of buying expensive creams that benefit the companies more than your eyes, you should go for some tried and tested eye bags home remedies. With these remedies at hand, you can easily shine at the next party even after a taxing day at work. 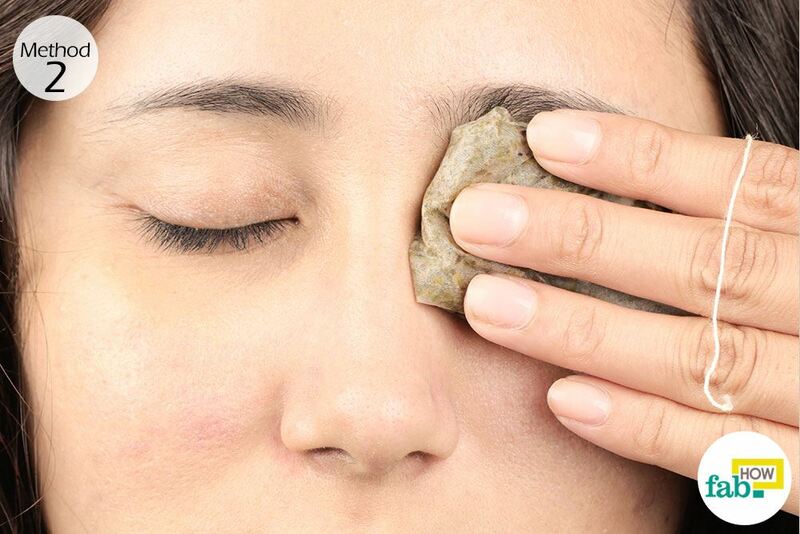 Here are three home remedies to get rid of bags under your eyes. The cold compress remedy is a simple hack that can deliver fast results when it comes to getting rid of eye bags. 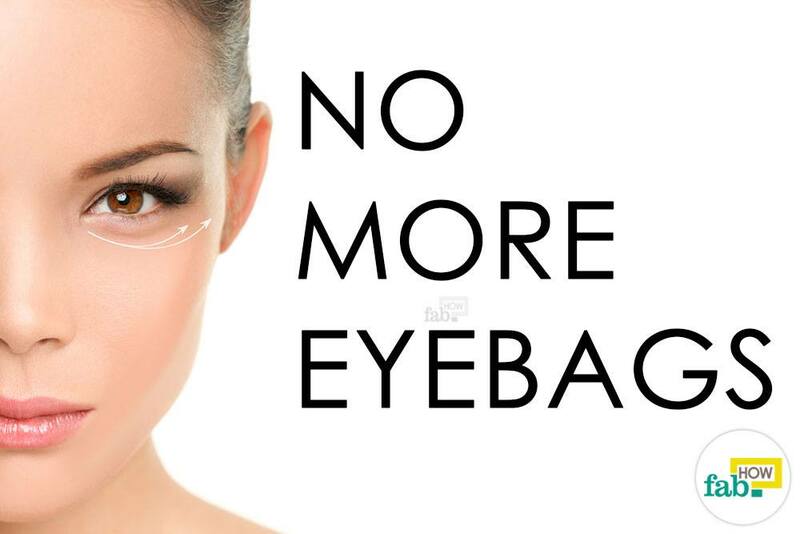 It effectively brings down the swelling in the area, significantly diminishing the appearance of eye bags. You can either use an ice pack or even a cold spoon to give your tired and puffy eyes a cold compress. 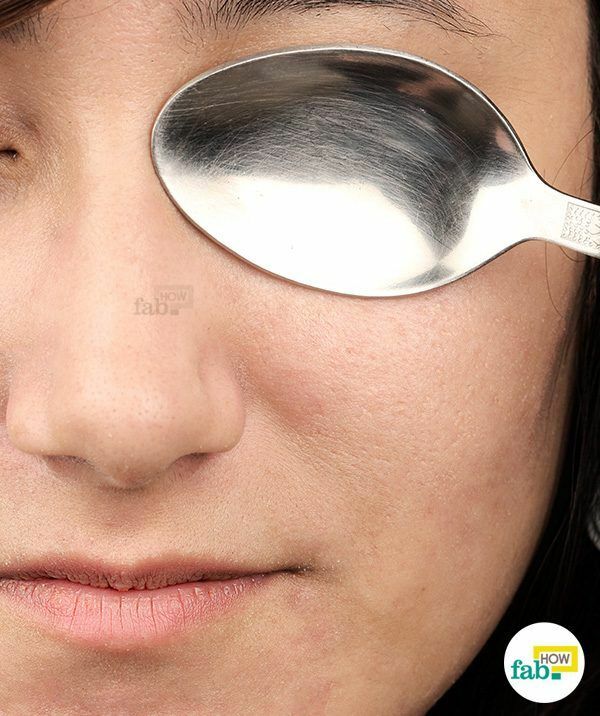 Place the curved back of a cold spoon over your eye and keep it there until the spoon warms up. Replace the warm spoon with another cold spoon. Continue this process for about 10 minutes on each eye. Covering the entire eye with the cold spoon will help remove swelling, puffiness and tiredness in the eyes. 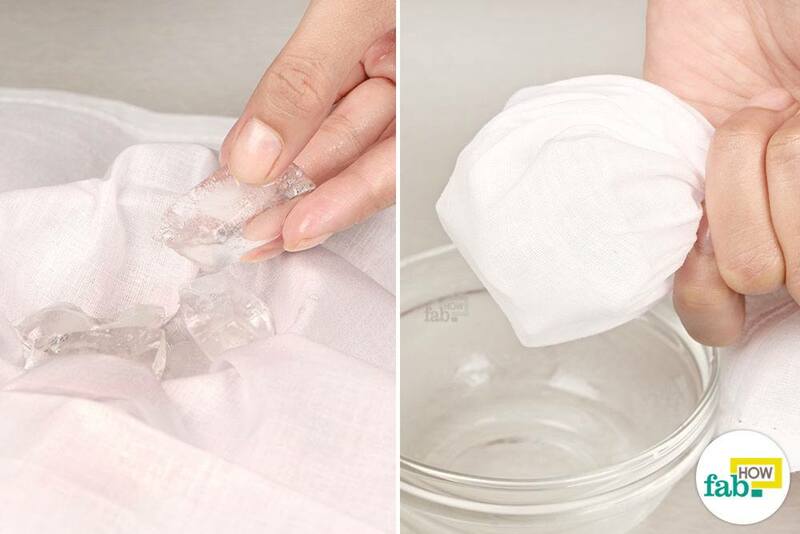 Place a few ice cubes on a clean cotton cloth. Bundle up the cloth to make a makeshift ice pack. Apply the ice pack over your eyes, covering the entire eye area to get rid of puffiness in the eyes along with the bags underneath. Keep the ice pack in place for about 2 to 3 minutes at a time. Continue the process for about 10 minutes. Tea, whether it’s green or black, is one of the most effective remedies when it comes to getting rid of eye bags. The astringent properties of tea come from the caffeine as well as tannins present in it. When applied topically, steeped tea leaves help shrink the swollen blood vessels under the eyes, diminishing the eye bags. Now you can have an effective eye-bags remedy every time you have a cup of tea. Cover your eye with a steeped tea bag for about 10 minutes to get rid of eye puffiness. You can use two tea bags and do both eyes at the same time, or one after the other. You can steep the tea bags in hot water for 3 to 5 minutes or in plain water for 10 to 15 minutes. If using hot water to steep the tea bags, allow them to cool down completely. 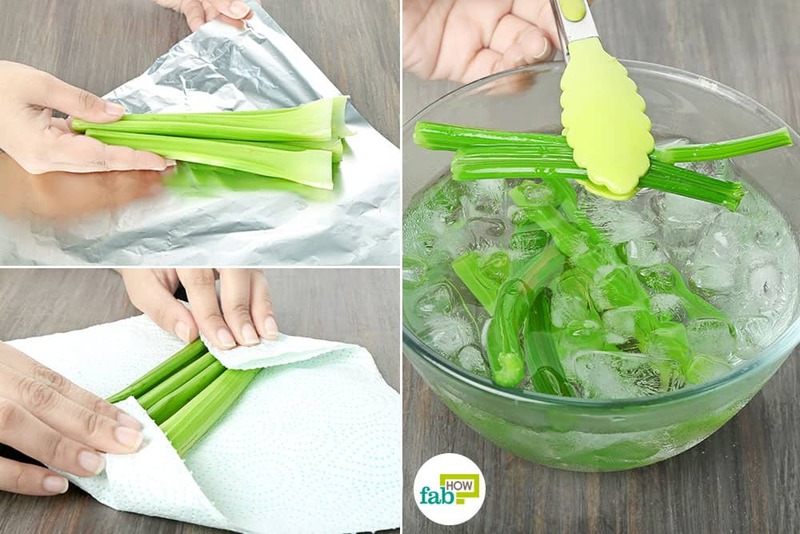 You can also refrigerate them for faster cooling. Fresh, juicy cucumbers boast astringent properties along with anti-inflammatory properties that make them a perfect solution for eye bags and puffiness in the eyes. Beauty salons and spas always keep iced cucumbers on hand for this reason. Powerful antioxidants and flavonoids present in cucumbers can reduce irritation and swelling. Due to the skin-lightening properties, cucumbers are also effective in removing dark circles under eyes. 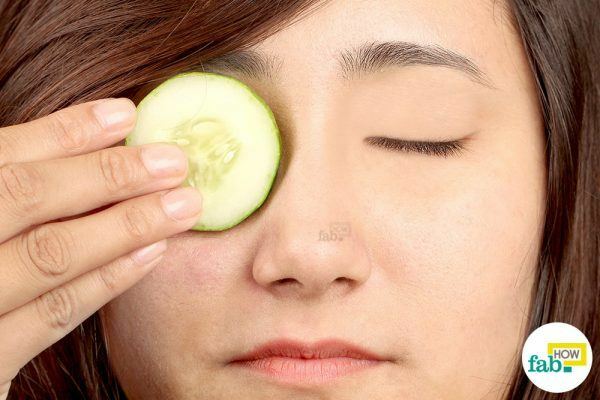 Whenever you notice bags under your eyes, grab a couple of cool cucumber slices. Simply place two freshly cut cucumber slices over your eyes. Cucumbers are powerful antioxidants that help relieve swelling around the eyes. Keep them in place for 5 to 10 minutes. Use cooled cucumber slices for maximum benefit. 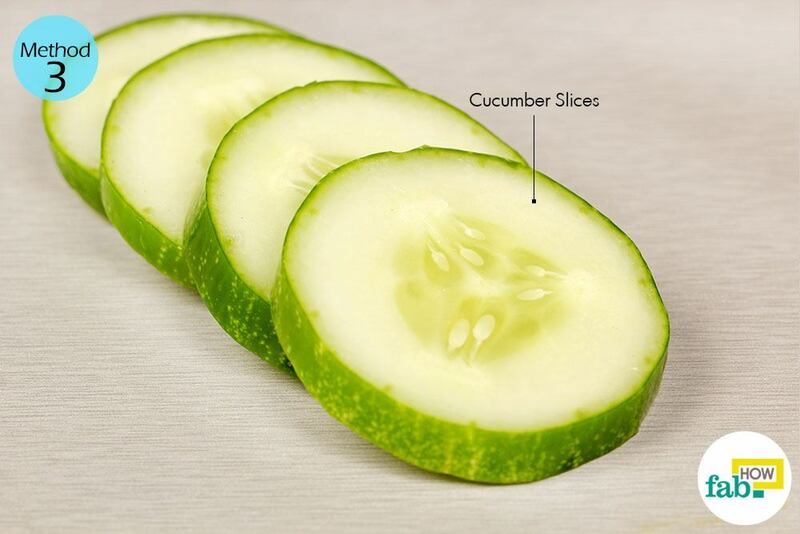 The coolness of the cucumber slices will help relieve puffiness or swelling around the eyes. To keep a cool spoon ready at hand, use two spoons and keep a glass of ice water near you. Use one spoon over your eyes, chilling the other one in the ice water. Alternate the spoons as needed. Potato slices also work well to treat eye bags along with puffiness in the eyes. Covering your eyes with cotton pads soaked with chilled milk for 10 to 15 minutes will also banish eye bags. Ensure that you get sufficient rest and end your day with a good night’s sleep to keep your eyes from becoming tired and developing bags under them.